To supercharge their partners to deliver RPA + AI solutions that support the future of work for the enterprise, and to show their commitment to partners, UiPath is holding the first-ever Partner Forward event, exclusively for UiPath partners. The era of RPA has arrived, and UiPath wants to enable their partners to accelerate their journey, path to AI, business outcomes… everything. Join us to help you accelerate your RPA outcomes through deeper RPA + AI content from a partner perspective, including news on partnership strategy and tools, the new UiPath Partner Program, the latest product roadmap, customer success stories, exclusive keynotes and more, one day before UiPath Forward. UiPath Forward brings together Industry leaders to debate and discuss the present and future acceleration of RPA in the market. Their customers will demonstrate why they are such big fans of the UiPath platform by showcasing the ways it has directly accelerated their businesses. Along with UiPath’s CEO, Daniel Dines, & Chief Product Officer, Param Kahlon, they will be unveiling the next UiPath platform that is leading the RPA market and accelerating the work of the future. Built for both business and IT, UiPath is the leading platform for Enterprise Robotic Process Automation (RPA). The company is at the forefront of the digital business revolution, achieving nearly 800 percent revenue growth in 2017. 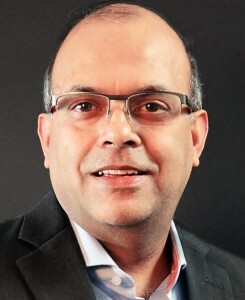 UiPath combines an easy-to-use automation design capability with breakthrough computer vision technology, security and scalability to enable the rapid development and deployment of software robots (digital workers) that dramatically improve business productivity, compliance and customer service, across both back-office and front-office operations. Headquartered in New York City, UiPath maintains offices in France, India, Japan, Romania, Singapore and the United Kingdom with an employee base over 500 people.